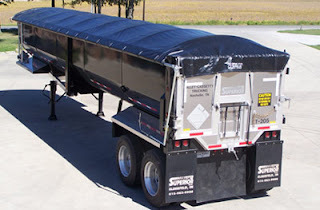 Tarps Plus Blog: Every Trucker Needs One, A Truck Tarp!! Today's special Tarp is the Truck Tarp! one of the most heaviest duty Tarps available on the www.Tarpsplus.com website. This Truck Tarp is about 16 mil thickness, heavy duty and ready for all challenges. These Truck Tarps are serious heavy duty truck tarps, every trucker needs to have one. I know that for most truckers a big concern is if it will withstand the high mph winds and till this day Tarps Plus has not had any complains nor sent any replacements, this is all great news to all you truckers out there. The selection for Truck tarps is wide with many sizes to choose from. All Truck Tarps are now on sale, so now it is the time to take advantage! check out www.tarpsplus.com and save now! Great Tarps, I love my truck tarp. Very well made Truck Tarp. My truck tarp is amazing!! It is really heavy duty and it works great in any weather.. I was hauling long haul and needed a truck tarp immediately. Tarps Plus had my tarp to me within 3 days.